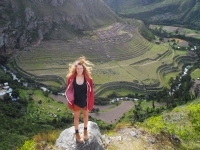 I decided to hike the Inca Trail because I had friends who had done it and raved about it. I hiked Kilimanjaro a few years ago and it was a top notch experience. This experience was fabulous but it didn't quite meet Kili standards. This was one of the greatest experiences of my life. 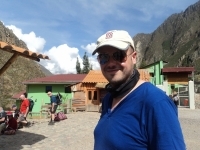 It wasn't easy, but the beautiful scenery, old Inca ruins along the way and the nice food let you forget how difficult it is at some times. It was a great experience and the crew that accompanied our trail was fantastic!! We had a small group so it was like we had a private guide. I had a blast on this trip! From start to finish everything was eye opening amazing. Hard to believe what I was seeing was real. Had a great time. There was a lot of amazing sites. 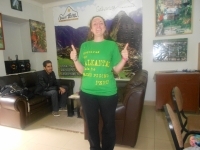 Our overall travel experience from Cuzco to Aguas Calientes was wonderful. We met some amazing people in our group and hopefully we will stay in contact. What an amazing road to an amazing scene. 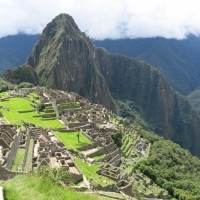 The Inca Trail really is the way to get to Machu Picchu offering the most rewarding scenery! Dad and Daughter take on Machu Picchu! Planning this trip was actually pretty easy. We had a group and they looped us all in via email and we were able to determine all the different wishes and requirements of each of the parties in our group. A visit to Machu Picchu was always a dream I desired to fulfill. I decided that a trip to Peru to celebrate my 30th birthday would be the best time to make my dreams a reality. 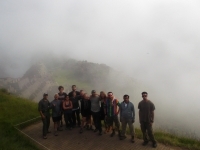 Along with 14 other nice fellow travelers I have conquered the Inca Trail in May of 2014. 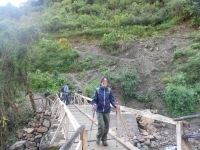 It was only possible with the help of Inca Trail Reservations excellent agents, guides, porters and cooks. They are very experienced knowledgeable and helpful. Special thanks to Richard, Marco and Danny. It was a wonderful experience and I had the chance to meet lovely people and new friends. 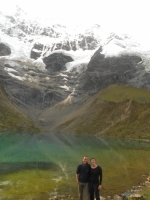 The Salkantay is amazing and worth the sometimes hard trekking. 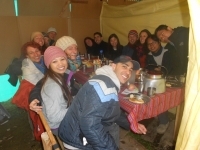 The team was very kind and nice with us and we always had great food. This was a great experience! A little bit hard, but really funny! I met a family! The guides and the all guys were lovely! I will surely suggest this trekking to all of my friends! 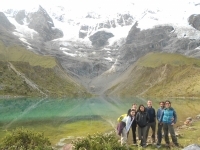 I really enjoyed the Salkantay trail: the landscape was amazing and the tour well organized. All the staff was friendly and helpful. The second day was the hardest one, the weather was really cold and it also snowed, but we had a lot of fun anyway. I met many amazing persons and new friends.